Quality Garden offers a vast array of Products and Services which are performed by factory trained technicians. 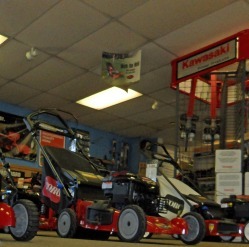 Products include: Lawn Mowers, Riding Mowers, Chain Saws, String Trimmers, Engines, Snow Blowers, Tractors, along with numerous accessories. Services include: tuneups, blade sharpening, parts, pick up and delivery of machines is also available. Below is a small sample of the different products Quality Garden has to offer.